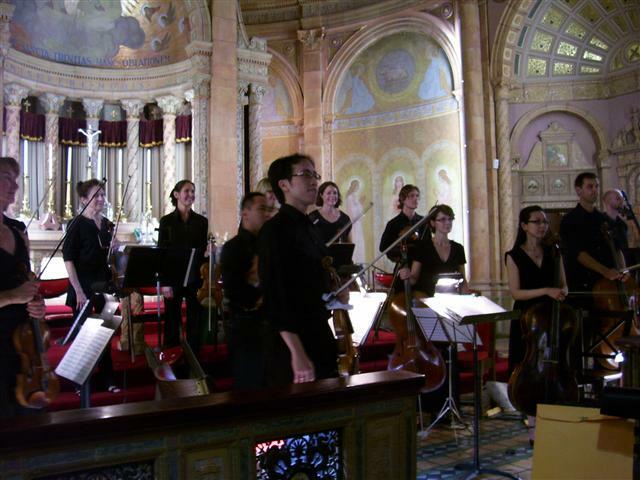 The Camerata di Sant’ Antonio in concert at Blessed Trinity. Sunday, March 29, 2015 at 3:00 p.m. Founded in 2002, the Camerata – which includes members of the Buffalo Philharmonic Orchestra – seeks to present concerts that preserve and celebrate the cultural heritage of our community, including premier works in every performance. 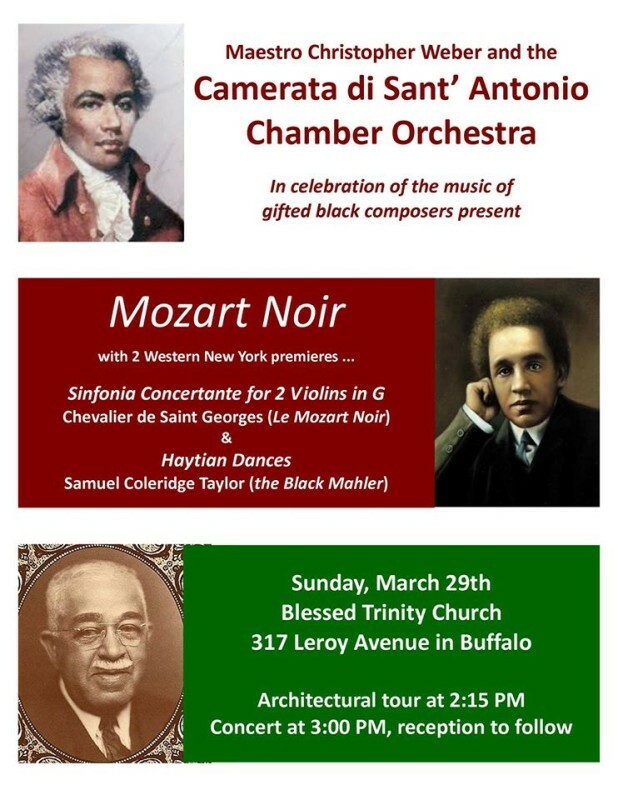 “Mozart Noir,” part of their “Mostly Mozarts” series, will feature the music of gifted Black Composers including Chevalier de Saint Georges (known as the “Mozart noir”) and Samuel Coleridge Taylor (aka the “Black Mahler”). Our cultural heritage expressed in church architecture will be the focus of pre-concert guided tours from 2:15-2:45 p.m. Please join us for an afternoon of music, art and architecture, ending with a post-concert reception hosted by Amberleigh Retirement Community of Williamsville. Concert tickets, available at the door, are $17. Funding from the City of Buffalo will provide free admission for students under the age of 15 when accompanied by an adult or high school students with valid school ID. Blessed Trinity, listed on the National Register of Historic Places, is considered to be the purest replication of twelfth-century Lombard-Romanesque architecture in the United States. The building has also gained international recognition for its “splendid acoustic,” making it an ideal setting in which to experience the music of the Camerata. Blessed Trinity is located at 317 Leroy Avenue (between Fillmore and Grider) and is wheelchair accessible with secured off-street parking.